NC, using a variety of federal, state, and local funds, provides subsidized child day care assistance to a large number of eligible families. Child daycare assistance is provided in child care arrangements (schools, homes, centers) which have been approved to receive child care subsidies. Parents choose their child's placement. Countable and non-countable income is used to determine family income for child daycare assistance. Contact the Child Daycare line at 704-920-1400 for an accurate assessment of family eligibility. All families who are income eligible for child daycare assistance are required to pay a portion of the cost. Parent fees are based on household size and income. 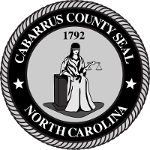 If Cabarrus County Department of Social Services does not have enough funding to serve all families who apply for child daycare assistance, the families can apply to be placed on a waiting list until funding becomes available. Children will be placed on the waiting list based on the date of application and by the "priority" category under which they are assumed eligible. To learn about national and state programs, visit Child Care Resources, Cabarrus Partnership for Children or the N.C. Division of Child Development and Early Education.